Most of us think that it’s so cool to be a Bollywood celeb as they get all the attention needed, a big media coverage, a huge number of fans, super luxury life etc. But do you guys know about the journey of these celebs which was full of struggles and tuff times? Yes, you heard it right. These Bollywood stars have reached this stardom just because of their hard work, dedication and the courage to fight against all odds. There are many Bollywood celebs who started off their career as background dancers in Bollywood and now have become the famous faces of the film industry. Remo D’Souza is one the finest choreographers in Bollywood. This Bollywood celeb has become a big name after judging the dance reality show, Dance India Dance. Before starting off his career as a choreographer he worked as a background dancer in many Bollywood movies. And recently, he also won a National Award for his choreography for the Deewani Mastani song. 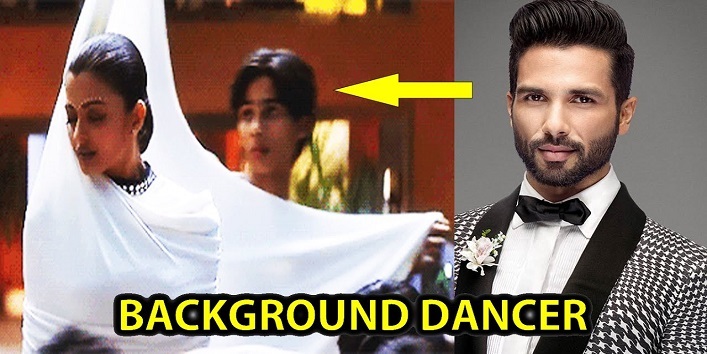 Shahid Kapoor, a Bollywood celeb who is known for his amazing dancing skills was once a background dancer. He worked as a background dancer with many actors like Aishwarya Rai Bachchan and Karisma Kapoor. And you can easily spot him in the song Kahin Aag Lage from Taal and Mujh ko hui na Khabar from Dil Toh Pagal Hai. Also read: Here are the Top 7 Most Hated Bollywood Celebrities! Dia Mirza is a Bollywood celeb who won the title of Miss Asia Pacific in 2000 and was also the runner-up of Femina Miss India started off her initial stages of the career as a background dancer. Dia worked as a background dancer for a South film En Swasa Kaatre. Presently, she is working as a social worker and took up many causes related to the environment. This Bollywood celeb is a multi-talented person. Farah has worked as an actor, director, producer and choreographer too. But in the initial stages of her career she worked as a background dancer. 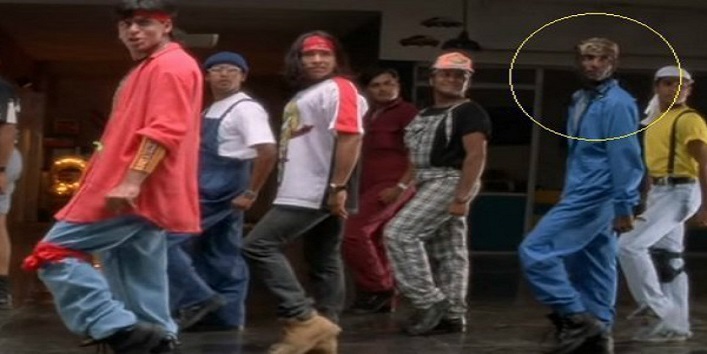 In the above pic, the girl dancing in the right corner with a green top is Farah along with Govinda for the song Hum Hai Naujawan. This one is actually a shocker for many of us but it’s true. Sushant was the only the part of Shaimak Dance troop but also performed as a background dancer with many Bollywood celebs. 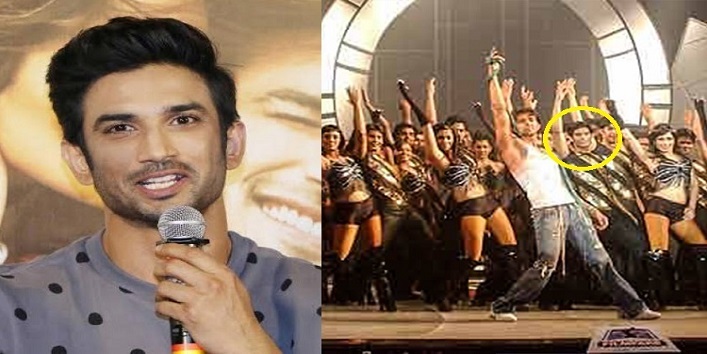 The M S Dhoni star danced along with Hrithik Roshan in the title song of Dhoom 2. So, these were the Bollywood celebs who started off their career as background dancers in Bollywood and now know are the big names in the showbiz world.